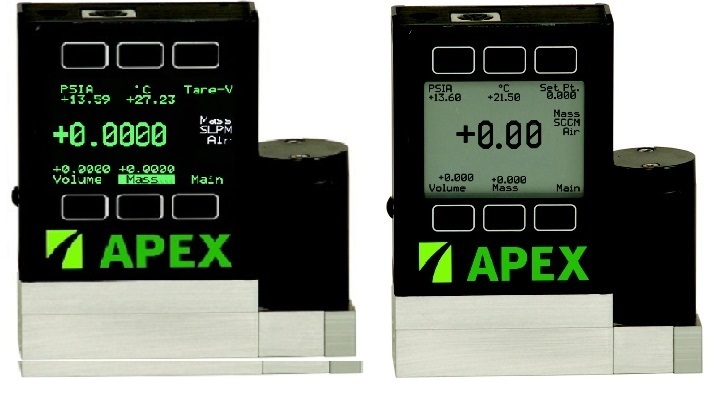 Welcome to the Apex App for selecting the proper Apex Mass Flow Controller or Apex Flow Meter for your application. This App will walk you through the equipment needed with information along the way. Once complete, submit and we should have the information needed to send you a quotation for the full system. Do you need to control the flow or just measure? Meter.- Measure flow only Controller-control flow Help: The difference between a meter and controller is the controller has a valve to regulate the set flow. What is the full scale range? 0.5 sccm 1 sccm 5 sccm 10sccm 20sccm 50sccm 100sccm 200sccm 500sccm 1slpm 5slpm 10slpm 20slpm 50slpm 100slpm 250slpm 500slpm 1000slpm 1500slpm 2000slpm 3000slpm Help: The full scale value is the maximum flow you need to flow with this device. Yes No Help: Is vacuum pressure present? This is the vacuum pressure value at the Apex unit. Low light conditions or brighter easier to read display desired ? LED unit is on the left and LCD is on the right. Yes($150adder) No The standard screen is backlit LCD. How many Apex units will be on the system? Provide the full scale range and calibration gas for each unit if not all the same. Example -Unit 2 10 sccm helium, Unit 3 100 ccm N2 and so on for all units except the first unit. 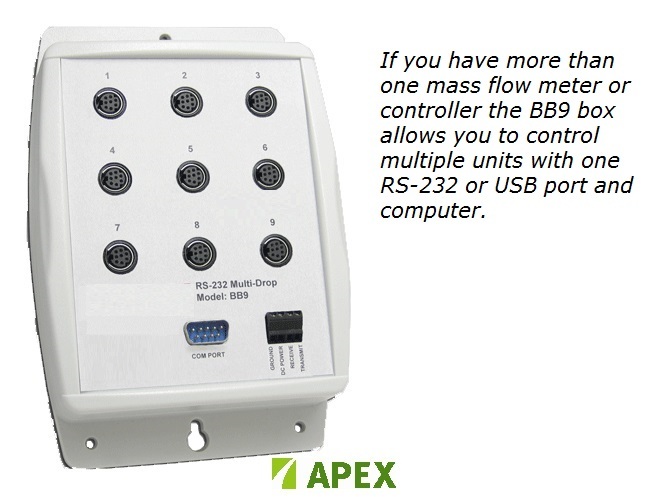 Will the Apex units be connected to the same computer ,PLC or other system controller? Will you supply a power supply or do you want to plug into a wall plug? How will you communicate with the Apex?